Comrade Capitalism series, part 6: Serhiy Kurchenko, who is suspected of acting on behalf of the former Moscow-backed president of Ukraine, gained $100 million on gas supplied at a preferential rate. KIEV – A young businessman accused of being a frontman for former Ukrainian president Viktor Yanukovich made $100 million or more from buying Russian gas at a preferential rate and selling it on at higher prices, according a former senior employee and a Reuters examination of official data. 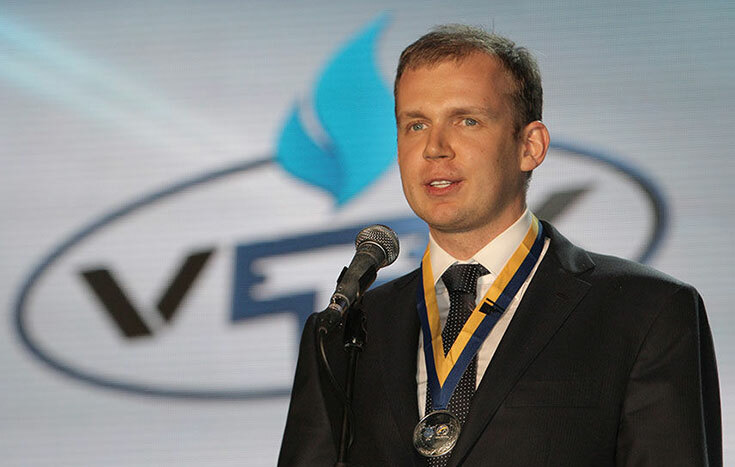 Serhiy Kurchenko, 29 years old and a self-declared billionaire, made the money by selling cheap gas supplied by companies run by Dmitry Firtash, a prominent Ukrainian oligarch. Firtash has long-standing business connections to Russia and his companies were able to buy gas cheaply from Gazprom, the giant gas company run by allies of Russian President Vladimir Putin. Some Ukrainian politicians and gas industry experts, briefed on the transactions by Reuters, said they believe the deal was a way for Firtash to reward former president Yanukovich for political favours that had benefitted Firtash’s business empire. Profits from the arrangement were destined for Yanukovich, they allege. “Everybody in Ukraine knows that he (Kurchenko) is the wallet to pay off Yanukovich,” said Viktor Chumak, a senior Ukrainian lawmaker and the former head of the parliament’s anti-corruption committee. Reuters was unable to confirm the purpose of the favourable deals or whether Kurchenko passed proceeds to Yanukovich. The details of the gas deals are likely to add to the controversy surrounding Kurchenko. Ukrainian officials have been investigating both him and Yanukovich since earlier this year, though those inquiries have focused on deals involving petroleum products and banking, not the natural gas deals uncovered by Reuters. Both men fled Ukraine after Yanukovich’s overthrow in February and are now living in Russia. In a series of articles, Reuters has examined how people favoured by the Kremlin have profited from Russia’s state spending and natural resources. This brand of capitalism extended to Ukraine, which Moscow has never really accepted as a fully independent state, and which Putin has tried to influence through gas supplies. Kurchenko stands accused by the current Ukrainian government of systematically evading millions of dollars in tax with the collusion of officials in Yanukovich’s administration. Vitaly Yarema, general prosecutor of Ukraine, said Kurchenko was under investigation for allegedly failing to pay the state $130 million in tax and allegedly stealing $180 million from bank investors. Ukrainian officials say Kurchenko was closely connected to Yanukovich, who was toppled over his attempts to align Ukraine with Russia rather than the European Union. The former president is himself accused by the current Ukrainian government of stealing millions of dollars from the state. Kurchenko did not respond to requests for comment. He has previously denied the allegations of tax-dodging and said he has no corrupt links to Yanukovich; he has said he is the victim of political persecution. “I am an honest Ukrainian businessman,” he said in a statement posted in March on the website of his company, Vetek Group. MOSCOW/KIEV – In Russia, powerful friends helped him make a fortune. In the United States, officials want him extradited and put behind bars. In Austria, where he is currently free on bail of $155 million, authorities have yet to decide what to do with him. He is Dmitry Firtash, a former fireman and soldier. In little more than a decade, the Ukrainian went from obscurity to wealth and renown, largely by buying gas from Russia and selling it in his home country. His success was built on remarkable sweetheart deals brokered by associates of Russian leader Vladimir Putin, at immense cost to Russian taxpayers, a Reuters investigation shows. Russian government records reviewed for this article reveal for the first time the terms of recent deals between Firtash and Russia’s Gazprom, a giant gas company majority owned by the state. According to Russian customs documents detailing the trades, Gazprom sold more than 20 billion cubic metres of gas well below market prices to Firtash over the past four years – about four times more than the Russian government has publicly acknowledged. The price Firtash paid was so low, Reuters calculates, that companies he controlled made more than $3 billion on the arrangement. Over the same time period, other documents show, bankers close to Putin granted Firtash credit lines of up to $11 billion. 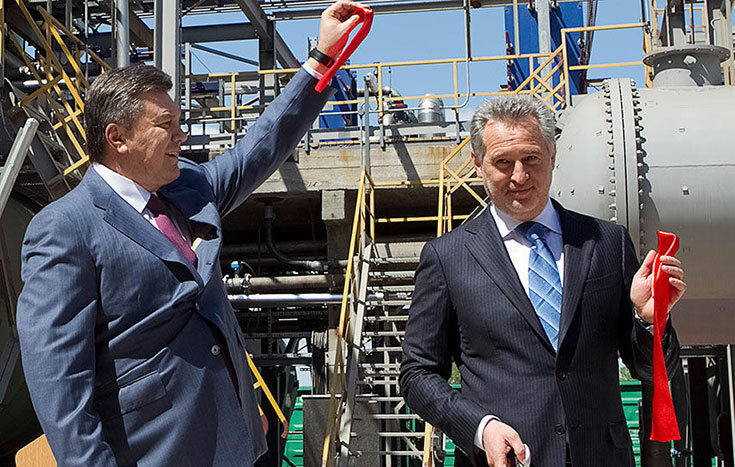 That credit helped Firtash, who backed pro-Russian Viktor Yanukovich’s successful 2010 bid to become Ukraine’s president, to buy a dominant position in the country’s chemical and fertiliser industry and expand his influence. The Firtash story is more than one man’s grab for riches. It demonstrates how Putin uses Russian state assets to create streams of cash for political allies, and how he exported this model to Ukraine in an attempt to dominate his neighbour, which he sees as vital to Russia’s strategic interests. With the help of Firtash, Yanukovich won power and went on to rule Ukraine for four years. The relationship had great geopolitical value for Putin: Yanukovich ended up steering the nation of more than 44 million away from the West’s orbit and towards Moscow’s until he was overthrown in February. 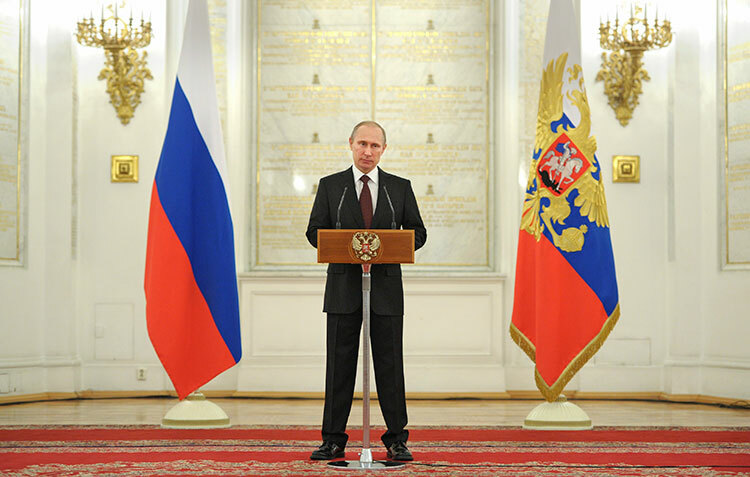 A spokesman for Putin rejected claims that Firtash acted on behalf of Russia. “Firtash is an independent businessman and he pursues his own interests, I don’t believe he represents anyone else’s interests,” said Dmitry Peskov. The findings are the latest in a Reuters examination of how elites favoured by the Kremlin profit from the state in the Putin era. 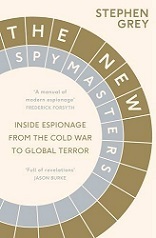 In the wild years after the fall of the Soviet Union, state assets were seized or bought cheaply by the well connected. Today, resources and cash flows from public enterprises are diverted to private individuals with links to Putin, whether in Russia or abroad. Putin’s system of comrade capitalism has had huge costs for the ordinary people of Russia: By granting special cheap deals to Firtash, Gazprom missed out on about $2 billion in revenue it could have made by selling that gas at market prices, according to European gas price data collected by Reuters. Four industry analysts said that Gazprom could have sold the gas at substantially higher prices to other customers in Europe. At the same time, the citizens of both Russia and Ukraine have seen unelected oligarchs wield political influence. 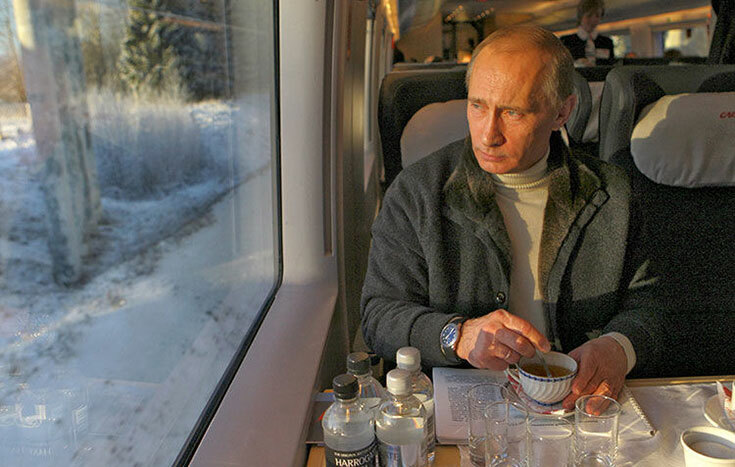 MOSCOW – In the world’s biggest country, railways are still a route to riches. With nearly 1 billion passengers a year and $42 billion in annual sales, the state company Russian Railways is a giant commercial opportunity. This investigation is part of a Reuters series examining how Russia does business in the Putin era. Even as the Russian president has denounced corruption, some members of the elite have used secretive companies, straw owners and other means to gain business worth hundreds of millions of dollars from some of his signature undertakings. Earlierstories examined how two of Putin’s associates profited from an ambitious state healthcare project. PERM, Russia – At the foot of the Ural Mountains stands a symbol of how even the best intentions in Russia can enable well-connected individuals to bleed money from the state. It’s a modern hospital built in this industrial city of a million people, and intended to be a flagship of a grand project to improve the country’s healthcare. 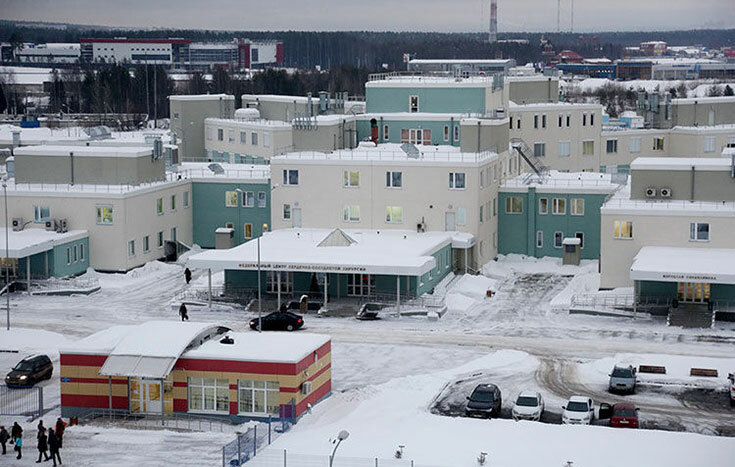 The hospital’s chain-smoking director, Sergei Sukhanov, loves his new facility, the Federal Centre for Cardiovascular Surgery, which has beds for 167 patients. He also admires Russian President Vladimir Putin, who championed the hospital and whose letter of thanks to the surgeon adorns his office. But a Reuters investigation shows the hospital, and a $1 billion construction project of which it was part, were also business opportunities for Putin’s allies. While it isn’t clear whether they managed to turn a profit, their involvement cost Russian taxpayers dearly. A previous article detailed how two associates of Putin profited from selling high-tech medical equipment to the Russian state and sent money to Swiss bank accounts linked to the building of a lavish estate near the Black Sea. Those two men, Nikolai Shamalov and Dmitry Gorelov, also had stakes in two companies that received contracts to build a series of hospitals around Russia. The undertaking later led to accusations of “unjust enrichment” against one of the companies. That company ended up going bust, owing around 860 million roubles ($26 million) to the state. Hundreds of people lost their jobs. Corporate records show there was another major investor in the two building companies: Rosinvest, a Russian investment firm owned by offshore entities. In 2010 Sergei Kolesnikov, a businessman who used to work with the two Putin associates, went public with a claim that Rosinvest was ultimately controlled by the Russian leader himself. The role of Rosinvest in Putin’s $1 billion health project, however, hasn’t been previously reported. Kolesnikov says that Putin owned an offshore entity called Lirus Investment Holding, which had ultimate control of Rosinvest. He told Reuters that he knew this because he “participated in the creation” of Lirus. Lirus was a Liechtenstein company that, he said, was owned through bearer shares – securities that don’t record the name of the owner. MOSCOW – In 2005, President Vladimir Putin personally ordered up a vast programme to improve Russia’s poor healthcare facilities. Five years later, authorities found that suppliers were charging some hospitals two or even three times too much for vital gear such as high-tech medical scanners. Suspects were rounded up in far-flung places, and in 2012 the police ministry said 104 people had been charged in connection with overpriced scanners. Several local officials and business executives were convicted of fraud and sent to prison. But a Reuters investigation has found that two wealthy associates of Putin engaged in the same profiteering and suffered no penalty. They sold medical equipment for at least $195 million to Russia and sent a total of $84 million in proceeds to Swiss bank accounts, according to bank records reviewed by Reuters. The records also indicate that at least 35 million euros ($48 million) from those accounts were funnelled to a company that then helped construct a luxury property near the Black Sea known as “Putin’s palace” – a nickname earned after a businessman alleged that the estate was built for Putin. The Russian leader has denied any connection to the property. These findings are part of a Reuters investigation into how associates of the Kremlin profit from state contracts in the Putin era. This and a later article examine what became of the president’s grand hospital undertaking. Another story, drawing on a confidential database of Russian bank records, will explore billions of dollars in spending on state railway contracts.